Experience the cutting edge design of this 2 bed + 2.5 bath, 3 story, live/work loft unit designed by Jay Vanos, AIA. 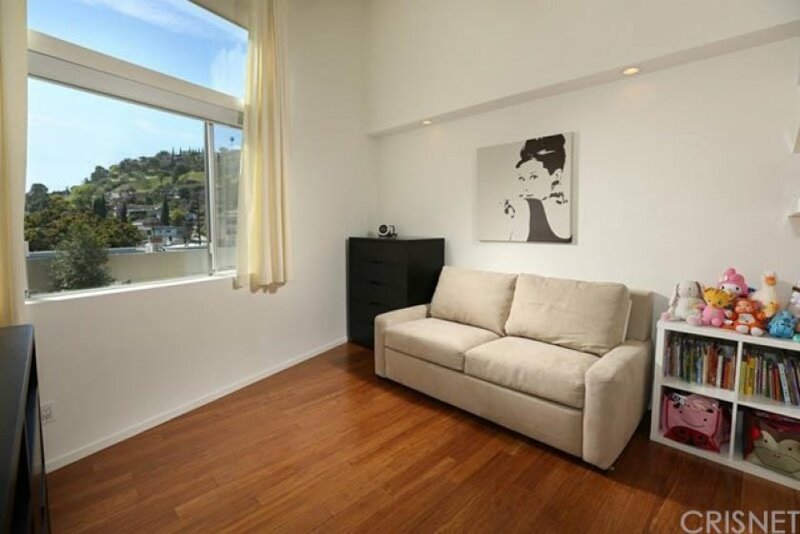 The unit boasts a creative & artistic floor plan with emphasis on light, space, and contemporary design combined with state of the art appliances providing professional and artistic living in the heart of Silverlake. Offering almost 20’ high ceilings, walls of windows on two sides of the building - the ONLY one offering this in the entire building, strand woven bamboo floors, Viking stainless steel appliances, Hansgrohe faucets, whirlpool tub, stone and granite counter tops, private direct entry garage, private intercom entry system, private rooftop deck all combined with endless city and mountain views including peekaboo view of the beautiful Griffith Park. This particular home is an end unit, furthest from the street, sharing only one common wall all while boasting more windows than any other unit making it the most unique and desirable in the project. These units are highly desirable and do not come on the market often - you do not want to miss! Listing provided courtesy of Erica Fields at Ewing Sothebys I.r..
2 beds, 2.5 baths, 1,280 sq.ft.